In every classroom, at any time during the day, the potential for a “math moment” exists. The room is one big learning center where strands of mathematical discovery are continually being woven . Children learn how to make sense of their world through every day experiences. However , math moments do not only in the math center. You can look around the rooms. In block play, children construct cities by sorting and organizing and use words like a long short small and tall. At snacktime a child passes out one cup per child and practice one to one correspondence. When we go through the gate we count our children to make sure they are all safe and with us. 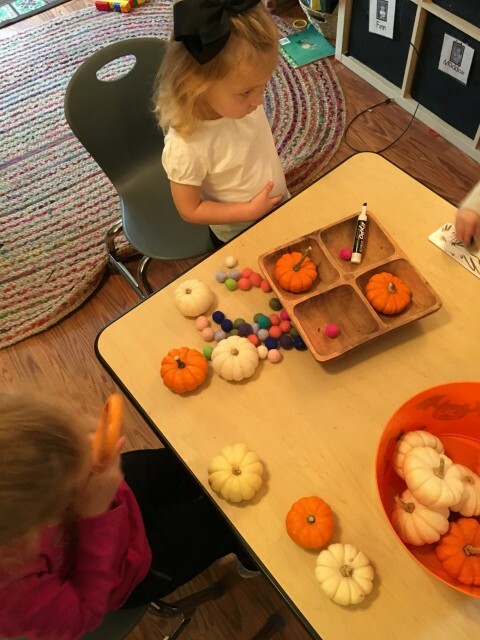 Parents can accept the challenge to find math moments at home and around town. With your child, identify numbers and shapes in your junk mail. As you cook or do errands together, you can make him answer I ask questions and encourage meaningful math understandings. For instance,, we need a bottle of juice for each person in the family. How many should I get? Children love to be consulted on such issues just keep it all fun. Sometimes we can extend an activity and turn it into a math moment. Example – today I was sitting reading and doing finger plays in the floor with the children. 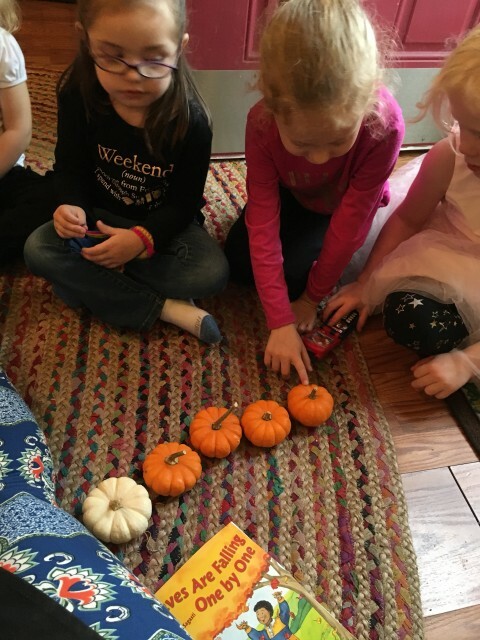 I remembered that Olivia’s mom had brought 16 tiny pumpkins so we took them out and actually used real objects as we said our poem. 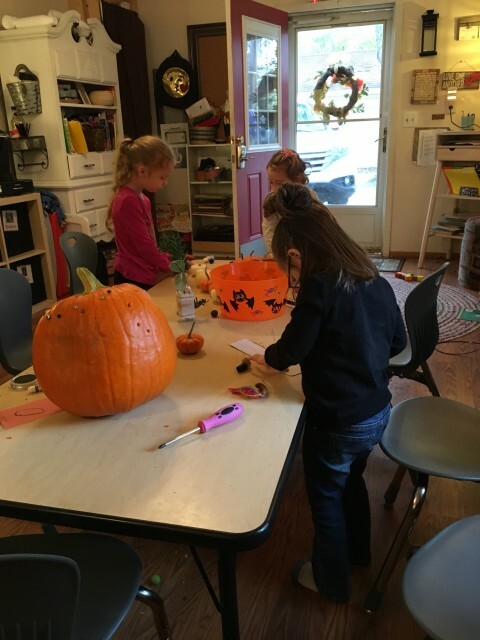 After finishing our poems, the children took the pumpkins to the table and begin playing with them. They would count them, sort them by color, sort them by streets them are crickets them and put them in sequence from largest to smallest. Math Moments are easily found !